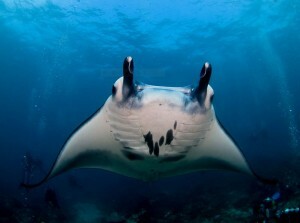 After a few weeks of absence our wonderful manta rays are back in full force. After an extended period of big swells which kept us away from Batu Lumbung, Manta Point, we ventured down the coast yesterday. The waves were still crashing against the rocks on the way down, and recent reports had been not hopeful, so we did not know what to expect when we went over the side! We were not disappointed. They were every where and had obviously regained their joie de vivre! They were chasing, swirling, cleaning and even playing peek a boo with the divers behind the corals! It still blows me away when I turn around and find a manta has snuck up behind me and is inches away with a huge grin on its face. After an hour of diving with these gorgeous creature it was time for us to get back on big boat. We were all reluctant to leave and will be back as soon as possible as the sea is calm for the next few days. Improve Your Diving By Keeping in Trim. 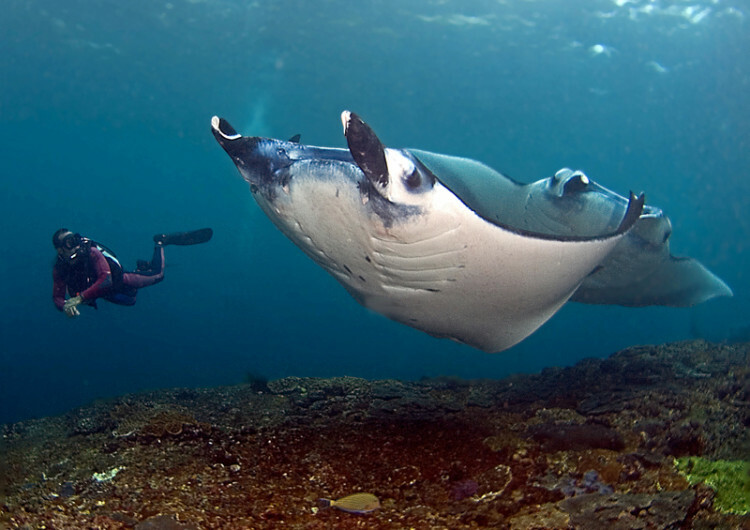 How Did We Come To Own World Diving Lembongan?